New Patent Litigation: Cardshark, LLC v. Five Below, Inc.
02-23-2017 – Cardshark is alleging infringement of its patent on certain cell phone cases. Don’t expect a lot of news coverage on this one. This is an action for patent infringement arising under the patent laws of the United States. Plaintiff holds the rights in U.S. Patent Nos. 8,381,904 (“the 904 patent”) and 8,047,364 (“the ‘364 patent). The United States patent laws grant the holder of a patent the right to exclude infringers from making, using, selling or importing the invention claimed in a patent, and to recover damages for the infringer’s violations of these rights, and to recover treble damages where the infringer willingly infringed the patent. Under 35 U.S.C. § 282(a), the ‘904 and ‘364 Patents are entitled to a presumption of validity. Plaintiff is suing Defendant for infringing its patents, and doing so willfully. Plaintiff seeks to recover damages from Defendant, including treble damages for willful infringement. Cardshark, LLC is a company, organized and existing under the laws of the State of New York, with a principal place of business at 7764 North Sheridan Road, Chicago, Illinois 60626. 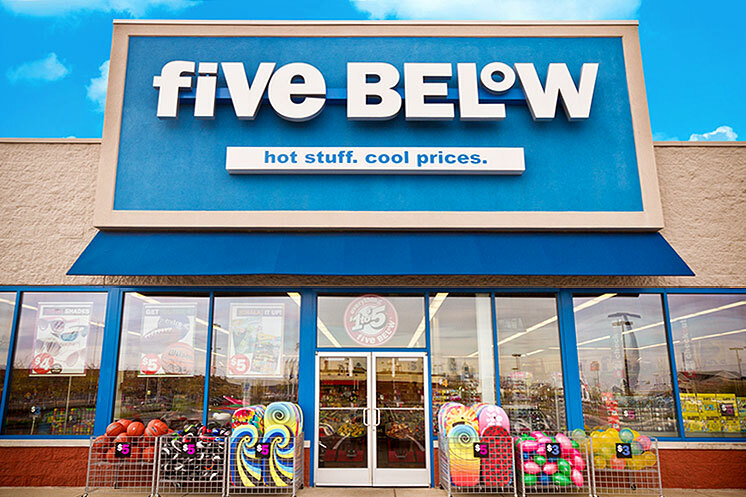 Upon information and belief, Defendant Five Below, Inc., is a corporation, organized and existing under the laws of the State of Pennsylvania with its principal place of business at 1818 Market Street, Suite 1900, Philadelphia, Pennsylvania 19103. This is an action for patent infringement arising under the patent laws of the United States of America, more specifically under 35 U.S.C. § 100, et seq. Subject matter jurisdiction is proper in this Court pursuant to 28 U.S.C. §§ 1331 and 1338. The Court has personal jurisdiction over Defendant because Defendant, among other things, conducts business in, and avails itself of the laws of, the State of New York. In addition, upon information and belief, Defendant through its own acts and/or through the acts of its affiliated companies (acting as its agents, retailers or alter egos) makes, uses, offers to sell, sells (directly or through intermediaries), imports, licenses and/or supplies, in this District and elsewhere in the United States, products, through regular distribution channels, knowing such products would be used, offered for sale and/or sold in this District. For example, without limitation, Five Below identifies retail locations in the State of New York and in this District on its website, http://www.fivebelow.com. Plaintiff’s cause of action arises directly from Defendant’s business contacts and other activities in the State of New York and in this District. markets and, at all relevant times has made, used, offered for sale, sold, imported, advertised and made available and/or marketed products within the Southern District of New York, through its http://www.fivebelow.com website, thereby infringing the ‘904 and ‘364 patents. Venue properly lies within this judicial district and division, pursuant to 28 U.S.C. §§ 1391(b), (c), and (d), and 1400(b). Plaintiff incorporates by reference the allegations set forth in the preceding paragraphs. On February 26, 2013, the ‘904 patent, entitled “Protective Covering For Personal Electronic Device,” was duly and lawfully issued based upon an application filed by the inventor, Kip Azzoni (formerly known as “Kip Longinotti-Buitoni”). A true and correct copy of the ‘904 Patent is attached hereto as Exhibit 1. ‘904 patent, and has the right to sue and recover damages for infringement thereof. 2719888 (in various colors), d:vice Iphone 6 Case (Model # ZB-600-IPH6)(collectively the “’904 Accused Products”). Upon information and belief, Defendant has been and continues to be engaged in making, using, importing, selling and/or offering for sale infringing products, including, but not limited to, the ‘904 Accused Products in the United States generally, and in the Southern District of New York specifically. The ‘904 Accused Products are available for retail purchase through the http://www.fivebelow.com website. Upon information and belief, by acts including, but not limited to use, making, importation, offers to sell, sales and marketing of products that fall within the scope of at least claim 1 of the ‘904 patent, Defendant has directly infringed literally and/or upon information and belief, equivalently, and is continuing to infringe the ‘904 patent and is thus liable to Plaintiff pursuant to 35 U.S.C. § 271. Defendant has indirectly infringed and continues to infringe at least claim 1 of the ‘904 patent by inducement under 35 U.S.C. 271(b). Defendant has induced and continues to induce users, retailers and dealers of the ‘904 Accused Products to directly infringe at least claim 1 of the ‘904 patent. Upon information and belief, Defendant knowingly induced users, retailers and dealers to market, sell, and/or use the Accused Products, including, for example, by promoting such products online (e.g., http://www.fivebelow.com). Defendant’s infringement of the ‘904 patent is without consent of, authority of, or license from Plaintiff. As a result of Defendant’s acts of infringement, Plaintiff has suffered and will continue to suffer damages in an amount to be proven at trial. On November 1, 2011, the ‘364 patent, entitled “Protective Covering For Personal Electronic Device,” was duly and lawfully issued based upon an application filed by the inventor, Kip Azzoni (formerly known as “Kip Longinotti-Buitoni”). A true and correct copy of the ‘364 Patent is attached hereto as Exhibit 2. ‘364 patent, and has the right to sue and recover damages for infringement thereof. Case with Card Holder (fit for iPhone 6/6s)(Item # CA-0057-Clear) (collectively “the ’364 Accused Products”). Upon information and belief, Defendant has been and continues to be engaged in making, using, importing, selling and/or offering for sale infringing products, including, but not limited to, the ‘364 Accused Products in the United States generally, and in the Southern District of New York specifically. The ‘364 Accused Products are available for retail purchase through the http://www.fivebelow.com website. claim 1 of the ‘364 patent, Defendant has directly infringed literally and/or upon information and belief, equivalently, and is continuing to infringe the ‘364 patent and is thus liable to Plaintiff pursuant to 35 U.S.C. § 271. Defendant has indirectly infringed and continues to infringe at least claim 1 of the ‘364 patent by inducement under 35 U.S.C. 271(b). Defendant has induced and continues to induce users, retailers and dealers of the ‘364 Accused Products to directly infringe at least claim 1 of the ‘364 patent. Defendant’s infringement of the ‘364 patent is without consent of, authority of, or license from Plaintiff. deem just and proper under the circumstances. Plaintiff hereby demands a trial by jury on all issues so triable in this action.